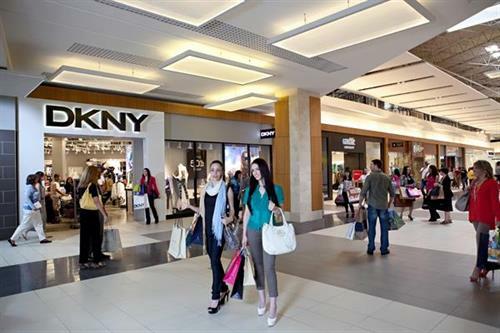 Mall hours: 10 a.m. to 9:30 p.m., Mondays. through Saturdays and 11 a.m. to 8 p.m. on Sundays. 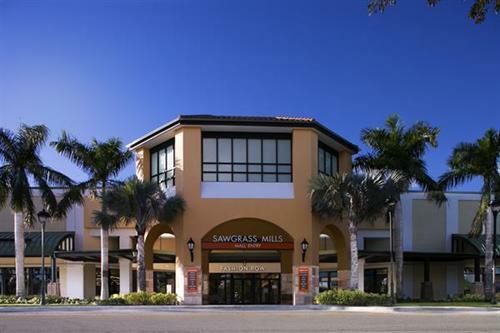 Sawgrass Mills is located at 12801 West Sunrise Blvd in Sunrise, Florida. 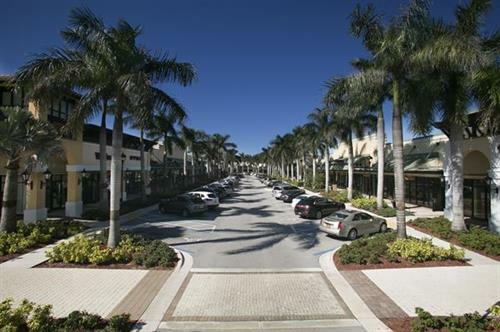 Conveniently located 15 minutes from Fort Lauderdale and approximately 35 minutes from both, Miami and the Palm Beaches. 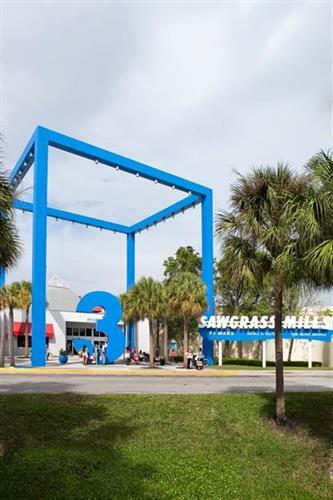 Sawgrass Mills, the largest outlet and value retail shopping destination in the United States, provides the ultimate shopping experience with more than 350 name-brand outlet and off-price retail stores, two major food courts, ten full-service restaurants and top entertainment. 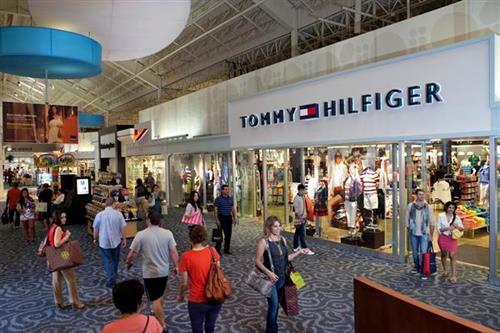 Millions of visitors annually enjoy stores throughout the entire property such as Calvin Klein, Coach Factory Store, DIESEL, DNKY, Escada Company Store, Valentino, Giorgio Armani General Store, GUESS Factory Store, Hugo Boss Factory Store, Michael Kors, Nike Factory Store, Polo Ralph Lauren Factory Store and TUMI, as well as anchor stores such as Saks Fifth Avenue OFF 5TH, Neiman Marcus Last Call, Bloomingdale’s – The Outlet Store, electronics superstore, BrandsMart USA and recently opened OneClick, South Florida’s own authorized Apple reseller and service provider offering a full line of Apple products and on-site technical support for Apple. 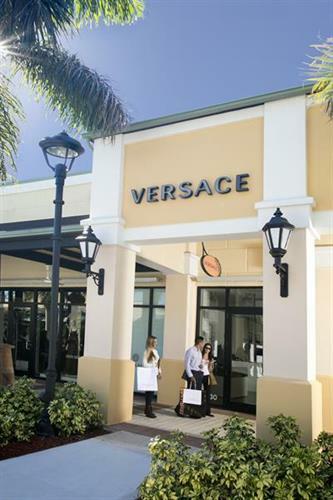 Sawgrass Mills is home to an impressive mix of more than 60 market-exclusive outlets not found anywhere else in the South Florida market. 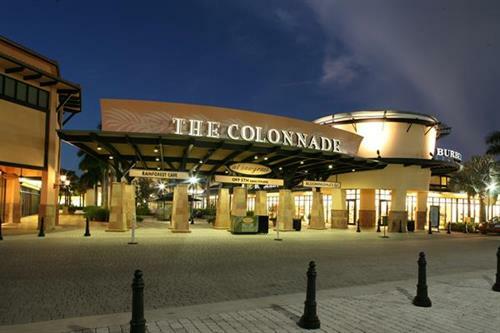 This distinction includes several luxury-brand offerings at The Colonnade Outlets at Sawgrass Mills, the picturesque open-air promenade which is a distinct component of the overall property with outlet locations from designer names, such as Gucci, Jimmy Choo, Prada, Tory Burch, Giorgio Armani, kate spade New York, TAG Heuer, Diane von Furstenberg, Roberto Cavalli, and more. 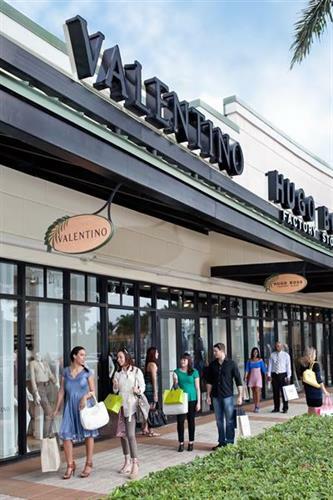 The excitement of shopping is only enhanced by great places to eat such as Grand Lux Café, Villagio, Rainforest Cafe and P.F Chang’s China Bistro and Zinburger Wine and Burger Bar. Family dining also abounds at Sawgrass Mills with the new prototype from California Pizza Kitchen, a contemporary dining experience from Sushigami, which serves creative sushi options on a conveyor belt, and the best places to play such as GAMEROOM, Sawgrass 23 Stadium & IMAX and Barbie The Dreamhouse™ Experience as one of only two locations in the country, this exclusive attraction provides guests with an unprecedented opportunity to interact with Barbie, her friends and family, and truly see what it’s like to live her dreamy life. International shoppers enjoy a convenient currency exchange booth, free Wi-Fi, wheelchair and smartecarte® rentalsas well as SHOP N DROP, a bag storage and shipping service. Take a ride on the Official Sawgrass Mills Shuttle which has now expanded service, transporting visitors to and from select Fort Lauderdale, Downtown Miami, South Beach, Miami Beach and Sunny Isles Beach hotels. For more information, or to make a reservation, visit http://www.sawgrassmillsshuttle.com/ or call (954)838-1039.